St. George Church was built during the 10th century but it was destroyed because of a fire in 1904 and was rebuilt & finished in 1909. 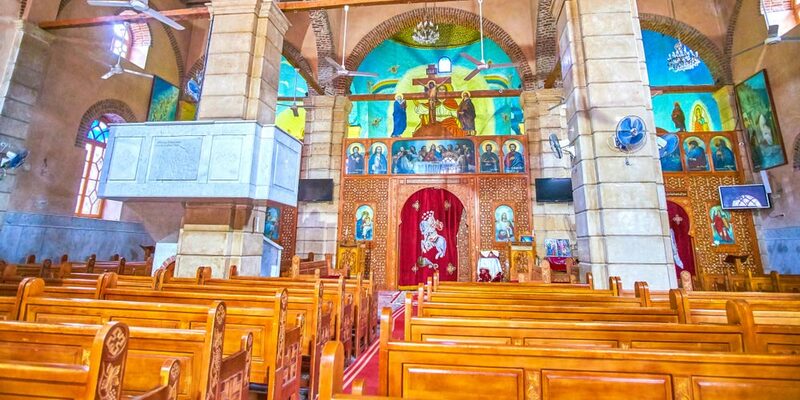 It is located within the Babylon fortress in Coptic Cairo and it is an outstanding Greek Orthodox Church and it is mainly It is part of the Holy Patriarchal Monastery of St George. St. George Church was built at the top of the Roman tower foundations. 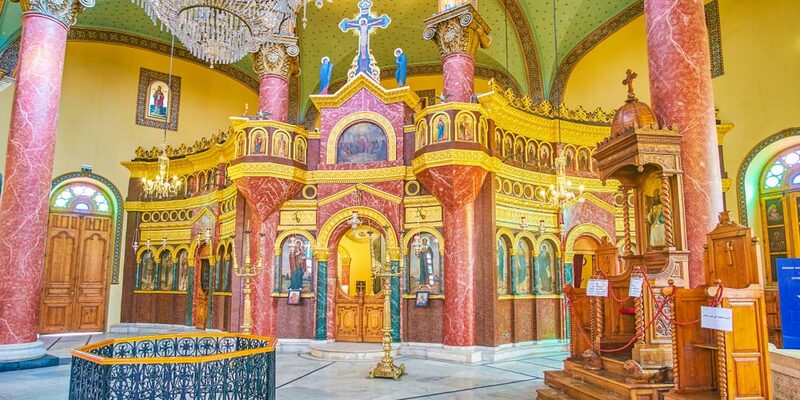 The Greek Orthodox Patriarchate of Alexandria took St. George Church as his seat and that is why tourists are attracted to this church. St. George Church was dedicated to Saint George who is said to have once killed a dragon. The Roman tower of the Church was believed to be peopled by devils. 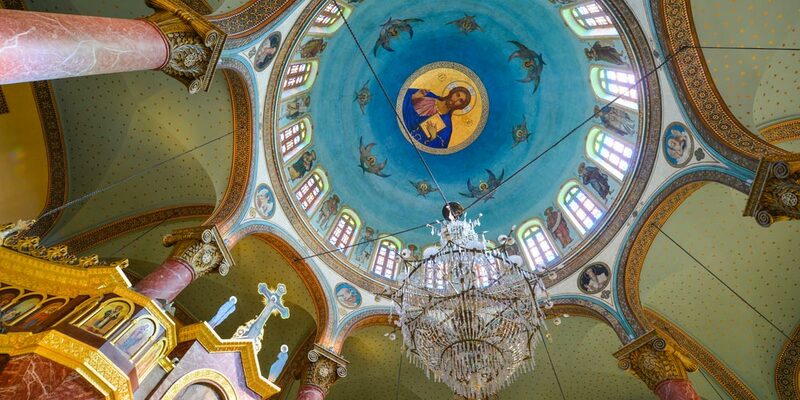 There is a great celebration that is held yearly on April 23rd which is “the Molid of Mary Gergis” that is considered the largest Coptic festival in Cairo although the fact that the church is Roman, not Coptic. St. George Church is an active one visited by different tourists around the world but visitors aren’t allowed to enter the church’s Monastery. The interior part of St.Geoge church can be accessed through the front doors. St. George Church is renowned for its pretty stained glass and the plenty of rich darkly stained wood. Tourists take about two hours touring this magical site. As long as you are fond of the great Coptic civilization, you can make use of being in Egypt and use our Cairo day tours to visit other mesmerizing churches in Coptic Egypt including the Terrific Hanging church, which was built on the southern gate of a Babylon fortress in the 7th century. 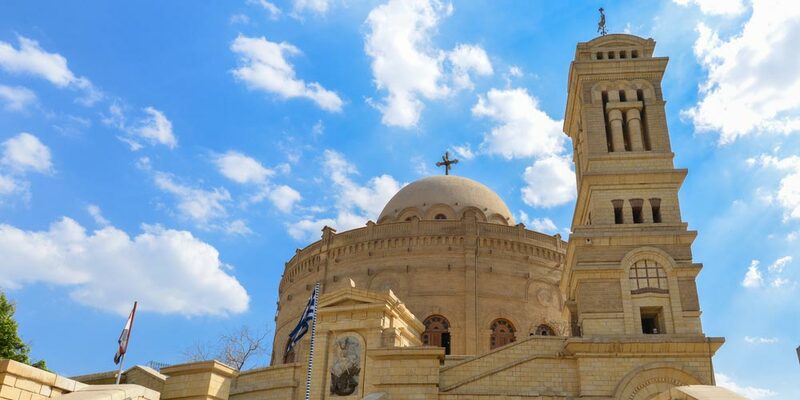 In addition to this, you can add to your visit a trip to Abu Serga church that is dedicated the great saints Sergius and Bacchus. And don’t forget that you certainly have the chance to customize your trips to fulfill your needs and visit the spectacular attractions of Egypt through our Egypt tour packages.